Could Cholesterol Protect Your from Cancer? Cholesterol is one of the most important molecules in our body. 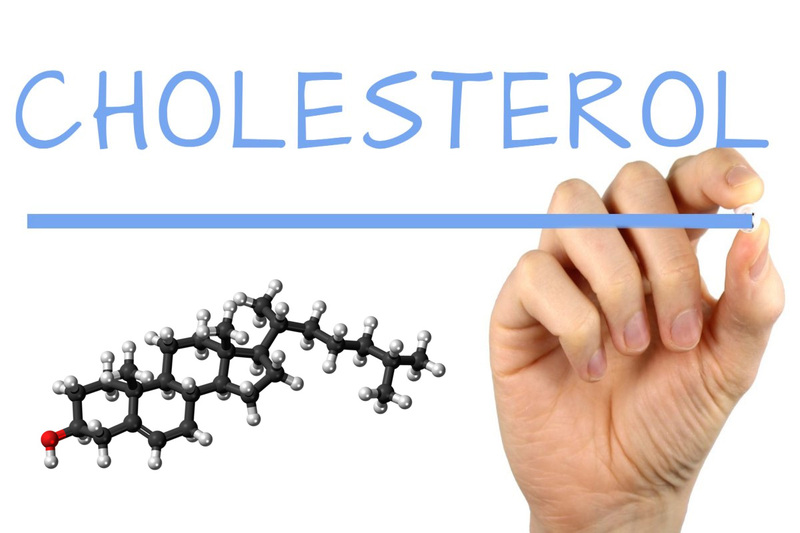 Often vilified by mainstream medical doctors and the media, cholesterol serves many functions including: cell membrane integrity and function; production of vitamin D; digestion as a large part of bile; the precursor to hormones such as testosterone, estrogen, progesterone and cortisol. Cholesterol is so important that every animal and every fish make it as well. Why do eggs contain cholesterol? Try forming a chicken without it! I have written extensively on cholesterol, that is why I dedicated the first chapter of my book, The Paleo Cardiologist, to this subject. As a cardiologist, I have listened to the anti-cholesterol rhetoric from medical doctors and the media for years. This is all Big Pharma propaganda to sell us drugs. These drugs lower cholesterol, but do very little, if anything, for outcomes that matter such as heart attacks, stroke, and dying. The truth is that total cholesterol has very little to do with living and dying. Studies confirm that between 160 and 260, there is very little difference in mortality. My goal is to find the perfect cholesterol level for each patient as an individual. Your perfect level is different from your best friend, your spouse, and your neighbor. Follow the tenets in The Paleo Cardiologist and you will achieve the best cholesterol for your body’s needs. 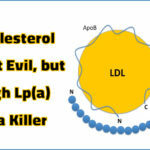 LDL has been considered the “bad” cholesterol and HDL the “good” cholesterol. But this version of the story is false. Humans and animals alike make LDL and HDL for a REASON. Both serve the immune system. Both serve to transport vital nutrients (like cholesterol and fat soluble vitamins) for a reason. The good/bad is Big Pharma speak. In my book, I discuss lipid particles and the risk linked to them. Sometimes, I use the term “lipids.” This may refer to cholesterol or particles such as LDL, HDL, and triglycerides. Cancer has many causes including a poor functioning immune system. Ideally, the cells of the immune system would destroy cancerous cells before they could proliferate and metastasize. 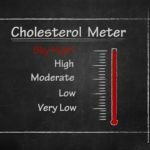 When it comes to total cholesterol, multiple studies have found that the higher the cholesterol, the lower your risk of infectious disease. (https://www.ncbi.nlm.nih.gov/pmc/articles/PMC2809530/). If the immune system is working to prevent infection, it is working to prevent cancer. The following data demonstrates that higher cholesterol confers a lower risk of cancer. Total cholesterol as a measurement is so 1970’s. If your doctor is measuring this, ask for advanced testing. This would include LDL particles and HDL particles. You need to know the number of particles and the size of the particles. These measurements are so much more relevant and total cholesterol, total LDL and total HDL. In fact, the ratio of LDL particles to HDL particles is the best prognosticator of all lipid parameters. Remember, we cannot live without cholesterol and this fact is not surprising given all the functions it serves. LDL and HDL each have a unique purpose in the body. We encourage everyone to find their perfect cholesterol and perfect lipids numbers. Here is a Top 10 list to achieve perfect numbers for YOU. Eat organic Paleo foods. It worked for our ancestors, it will work for you. Cholesterol in food does not increase heart disease risk, why would it increase cancer risk. Organic gatherer food and pasture-raised hunter food. Also, check out my most recent post on the health benefits of spices. Healthy heart and anti-cancer. Get sleep. Lipids such as cholesterol are made while we sleep and help to repair the body. In fact, during sleep, thousands of repair functions are at work and different genes are in action. For thousands of years, we went to sleep with the sunshine and awoke with the sunrise. Get sunshine. 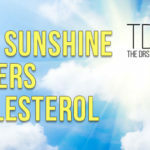 The sun converts cholesterol into vitamin D. Lack of sunshine equals excess cholesterol production. When we weren’t sleeping, we were in the sun. Get adjusted. Your local chiropractor fixes more than back pain. By correcting spinal subluxations, autonomic nervous system balance is achieved. 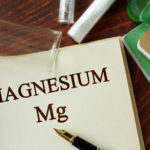 This leads to excellent organ function and undoubtedly normal cholesterol levels. Get away from environmental pollutants. Toxins lead to inflammation and inflammation leads to excess lipid production. Clean air, clean water, clean food, and a clean environment. Corporate America loves to promote better living through chemistry. To be candid, there is literature that drugs such as aspirin and statins lower cancer risk. But do humans get cancer because of a pharmaceutical deficiency? Obviously not. Cancer has a cause. Find the cause and you will have the cure. My book is called The Paleo Cardiologist, The Natural Way to Heart Health. Interestingly, the causes of heart disease are the SAME as those that cause cancer. If you follow the information in my book, you WILL lower your risk of heart disease AND cancer.